Regardless of experience, training, or skills, there is at least one opportunity for every person to engage the East Plano community and surrounding area. In 1 Peter 4:10, the apostle said, “each one should use whatever gift he has received to serve others, faithfully administering God’s grace in its various forms.” For more information about any of these opportunities to serve, contact the church office. On Mondays at 10:00am, we encourage the residents of Plano’s Heritage Park Nursing Home by sharing the things of Christ in message, songs and loving deeds. PlanoBibleChapel is partnering with other local churches to provide Role Models and Mentors to our neighborhood elementary school children (Dooley, Forman, Meadows, Memorial, and Mendenhall). We also have mentors serving at Armstrong Middle School and McMillen High School. More and more children in our community are in need of a positive example of a loving adult who cares for them enough to be a friend and a help with academics, relationships, and their worldview. The focus for mentors is more of the buddy/role model than academic tutor. Of course, academics may come up naturally, but we’d mainly like you to focus on the relationship with the child. Doing something special like having a guest for lunch/breakfast once a week and doing some fun activities will make their time with you even more fantastic! Mentors select a lunch or breakfast time to be with their child. This should take care of the working parents that want to mentor first thing in the morning. The Breakfast Buddy would spend their time with their child as early as 7:15, Lunch Buddies would come during the child’s lunch period, and are welcome to stay for the 30 minute lunch period and the additional recess time if they’d like a full hour. Please contact Larry Murray (972.423.5321) for more info about stepping up as a Role Model to a child who needs a friend and a godly example of a believer in Christ. He will get you connected with the local coordinator for each elementary, middle, or high school. 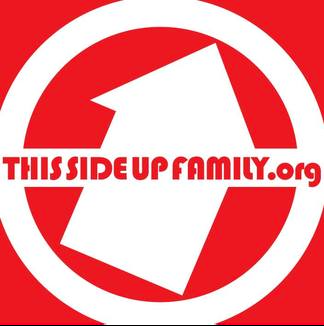 PlanoBibleChapel partners with This Side Up Family Center to provide FREE clothing for single parent families in our community. The Clothing Give-Away will be this August 2018 before school starts (exact date TBA). Drop off gently used or new clothing (women’s, men’s, kids) on Sunday mornings or during normal office hours (9:00am-4:00pm) beginning August 1, 2018. The Food Pantry assists those PBC members who have a need for food donations. We collect gift cards and then these are used to purchase food for families or they are given directly to the families in need. For more information please contact Robin Draper. If you know of a family who is in need, please contact the church office. Real Options for Women and PlanoBibleChapel stand together to affirm the sanctity of human life because God created man in His image (Genesis 1:26-27; Psalm 139:13-16; Colossians 3:10) and God sent his Son to die for us (Romans 5:8). Real Options is supported by donations and volunteer labor of men and women who want women to have real choices —to choose life— when they are faced with unplanned pregnancies. Opportunities are provided for support through projects and other activities. Please check the church calendar or the friends of Real Options for Women website for specific information on upcoming events, including training of volunteers.